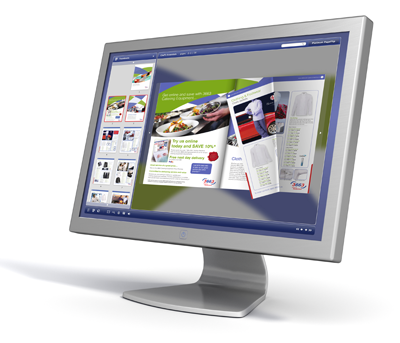 We can produce your pdf documents in a format that is more engaging to the viewer. With Platinum pageflip viewing speeds are much quicker as you are linking to a file rather than downloading the entire document. This enables the visitor to use this product just like flipping through pages of a book, as the ‘page turning’ effect simulates the feel of a physical book being viewed. All Platinum pageflips files can be stored on your web server or we provide our own web hosting service at competitive rates. We can provide an unbranded area for hosting documents. If we are producing your artwork for your printing we are half way there already so should be able to provide some cost savings too on your web services. Pageflip documents can also be saved onto a CD or USB stick for off-line presentations. 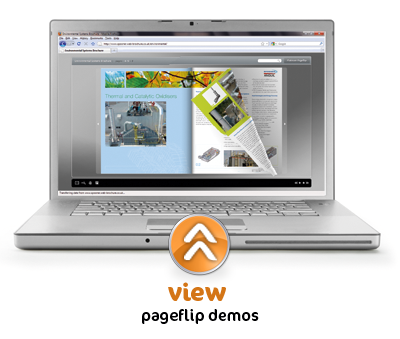 No special software is required to view the pageflip documents (other than an up-to-date Flash player).